Selling 55 Bulls, 30 Bred Females, and 3 Show Heifers. If you are looking for power, phenotype and real-world performance, this line up of bulls will fit the bill. We continue to breed bulls that not only produce calves to push down the scales and desirable carcasses but will also produce heifer mates to be retained as replacement females. For this reason, we have continued to focus on weaned calf value ($W) as a tool to predict the profitability of the next year's calf crop. 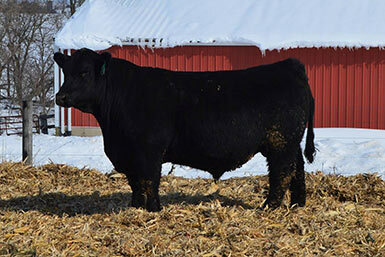 Over half of this year's offering ranks in the top 25% of the entire Angus non-parent bulls for $W. 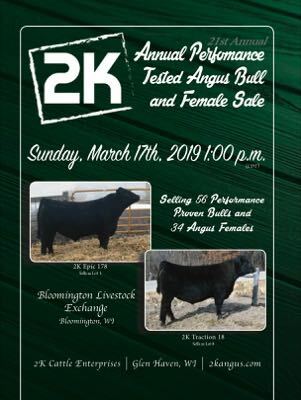 On top of that, over half of these bulls rank in the top 30% of the Angus non-parent bulls for beef value ($B), a terminal index used to predict profitability for those retaining ownership and selling all sired progeny. 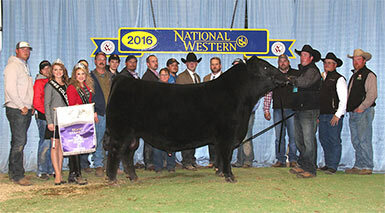 Our feature female – 2K Beauty 2347 – is a full sister to the dam of SMA Watch Out 482, the 2016 National Western Stock Show Grand Champion ROV Angus Bull. 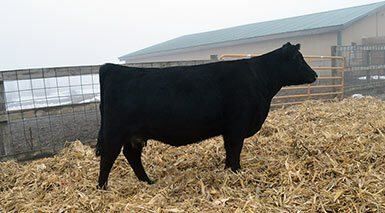 She sells at Lot 57 with a fancy heifer calf at side by VAR Legend 5019. 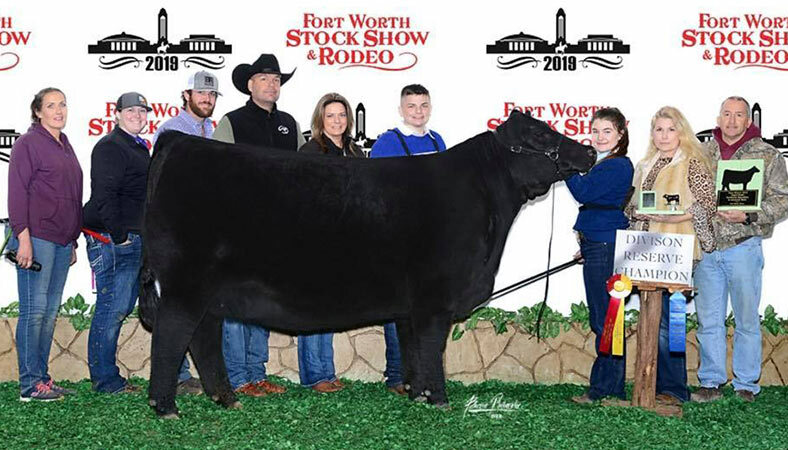 Full sister to this Fort Worth Champion – 2K Blackcap 907 - for McKenzie Kostel sells. She was the high selling female to sell in our Fall 2017 Sale. Don’t miss this opportunity to own a full sister.